Qualitative methods are easy to apply in rural settings – for program evaluation, program improvement, research, or other scholarly work. In some cases, qualitative approaches are better for these purposes than are quantitative ones. Rural programs usually involve small numbers of learners and are often uniquely adapted to a specific rural community. Aggregating numbers across many programs to achieve statistical power in a quantitative study may overlook important elements of training in specific rural places. These elements may be integral to program outcomes and may more easily be demonstrated through qualitative inquiry. Many physicians and educators, urban or rural, lack research training, especially in qualitative methods. This lack of formal training does not preclude them from using these methods, especially with the help of a more experienced coach or mentor. This webinar is intended to introduce faculty, learners, and others to qualitative methods in research relevant to rural health professions education and training and encourage their use. 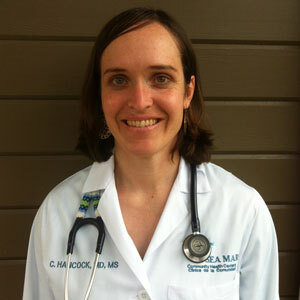 Christine Hancock, MD, MS, grew up in Lone Pine, CA, a small desert town of 2,000. She has been practicing full-spectrum family medicine at Sea Mar Community Health Centers in Bellingham, WA since 2013 and works with Western Washington University as an adjunct faculty member in the Community Health Program. She was a 2016 National Rural Health Association Rural Health Fellow. 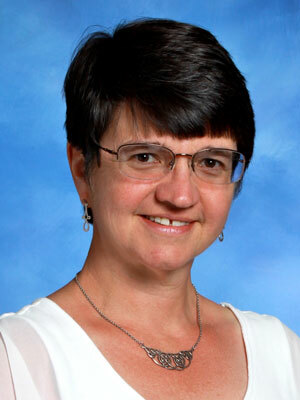 Her research focuses on rural provider recruitment and retention. Dr. Stutzman grew up in Northern Michigan and trained at the University of Michigan School of Medicine. She completed a residency at Family Medicine Spokane. After a year at the University of Washington as a fourth-year chief resident she settled in White Salmon, Washington in a small rural practice. After 12 years of wonderful, broad-spectrum, rural, community-based care she moved to Boise in 2007 to pursue teaching at the residency program. She has special interest areas in rural medicine, medical student teaching, and training the next generation of rural family doctors. To learn about the guiding principles that you should consider before conducting qualitative research: Standards for reporting qualitative research: a synthesis of recommendations. Watling C, Cristancho S, Wright S, et al. Necessary groundwork: planning a strong grounded theory study. J Grad Med Educ. 2017;9(1):129–130. Balmer DF, Rama JA, Martimianakis MA, et al. Using data from program evaluations for qualitative research. J Grad Med Educ. 2016;8(5):773–774. Baker L, Phelan S, Snelgrove R, et al. Recognizing and responding to ethically important moments in qualitative research. J Grad Med Educ. 2016;8(4):607–608. Nimmon L, Paradis E, Schrewe B, et al. Integrating theory into qualitative medical education research. J Grad Med Educ. 2016;8(3):437–438. Paradis E, O’Brien B, Nimmon L, et al. Design: selection of data collection methods. J Grad Med Educ. 2016;8(2):263–264. Wright S, O’Brien BC, Nimmon L, et al. Research design considerations. J Grad Med Educ. 2016;8(1):97–98. Varpio L, Artino AR Jr, The Qualitative Collaborative. Answering the mail: replying to common questions about qualitative inquiry. J Grad Med Educ. 2015;7(4):667–668. Teherani A, Martimianakis T, Stenfors-Hayes T, et al. Choosing a qualitative research approach. J Grad Med Educ. 2015:7(4):669–670.